U - Angelica Nero was decidedly ugsome. 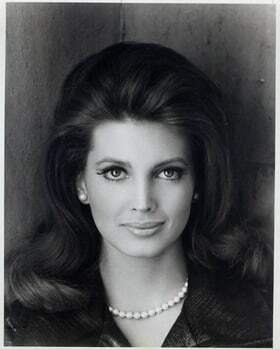 V- Gayle Hunnicutt who played Vanessa Beaumont around the time she would have met JR Ewing in the late-1960's. X - Vanessa "Granny" Beaumont was a Xanthippe. Z - Jeb Ames was a zad. 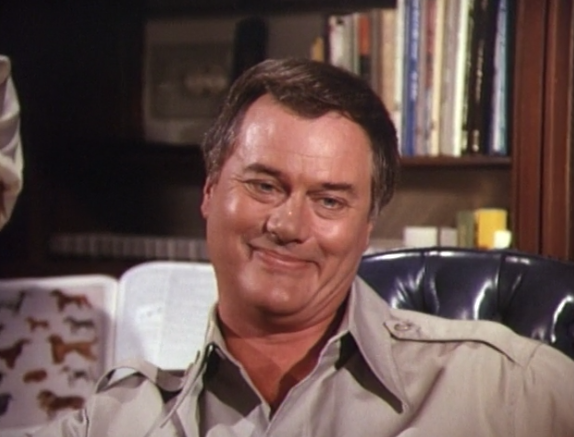 A- JR Ewing enjoying an alcoholic beverage. 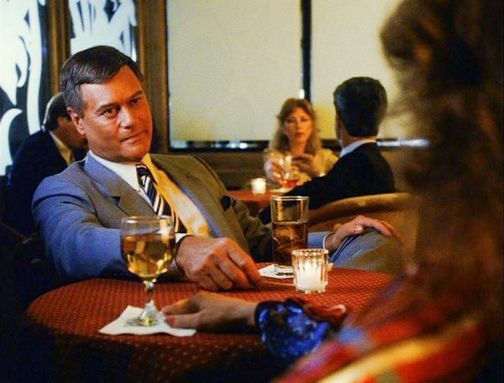 C- Oil Baron's Club waitress Cassie gets the attention of Cliff Barnes as he tries to dine with Jeremy Wendell. D - that rather daring dress would get the attention of just about any guy, I'd say! 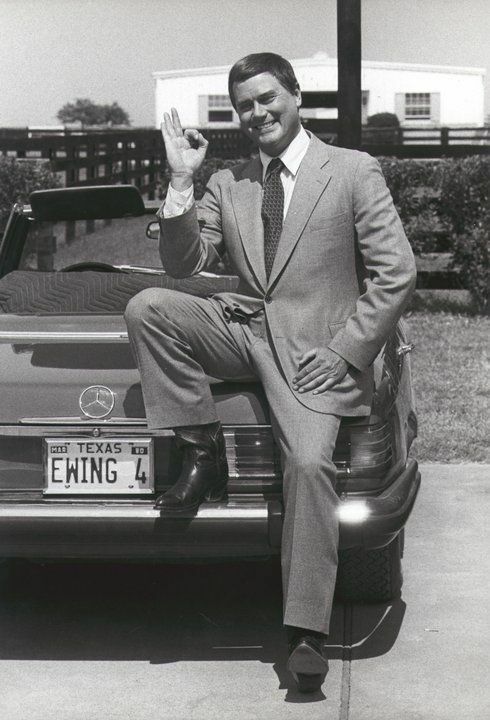 E- Mr. Hagman poses with Mr. Bobby James Ewing's Ewing 4 plated Mercedes-Benz. 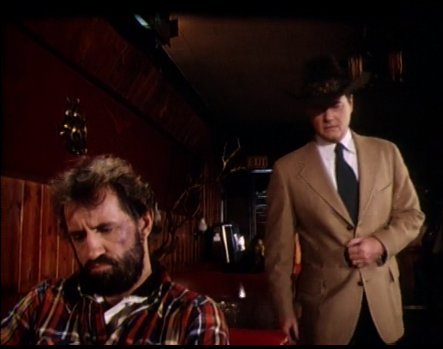 H- Mr. Bobby James Ewing being held hostage by kidnappers. I - it's impressive how well Bobby held up when faced with an uncertain future at the mercy of this fearsome criminal gang! 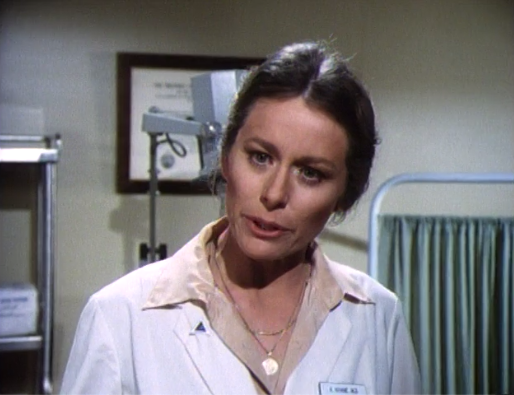 J - Charlie Wade was jejune. L - Tommy McKay was a lunkhead. N - Dandy Dandridge was a nipscart.